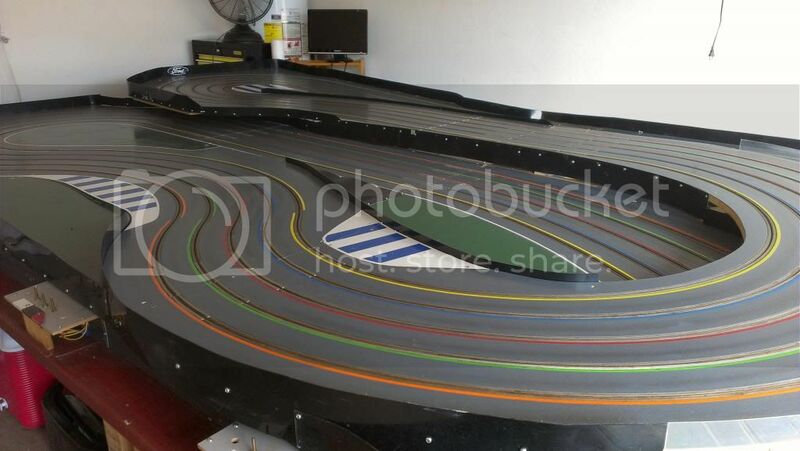 Come on Racers.Without Tracks to Race on why does this Hobby exist? Surely there are more tracks out there. Everyone can not be Proxy racing, can they? Please post info here no links. I wrote a much longer post but lost it in the ether. Please do not post links to other Sites or non advertising Stores. What I offer here is you may list a Commercial Track, Store Track, not an advertisement for a Store. Club or Home Track looking for more Racers. Contact info including email if you want. But no Web Link unless they are an Advertiser here. Any other info that will help the Hobby grow. Why no links, I know I will hear, well Advertising helps pay some of the bill to keep SCI on-line and growing daily with no Goggle Ad's no Spam etc. Free Albums to all Members and affordable advertising for those who make money from the Hobby. Now any more Tracks out there. Starting in the USA and Canada, but happy to host a Worldwide Listing of Tracks. i'm going to build a hillclimb rally track just so that California can have a second track listing. EDIT: i did a search and came up empty. can anyone direct me to a forum that discusses how to build the paddle thingy at the top of a hillclimb that reverses the polarity for the trip back down the hill? Last edited by boopiejones; 11-13-2009, 11:07 AM. First of all Alan- thanks again for providing this space for raceway and club listings. Based on the other listings that I contribute to, I am guessing it will be 9-14 months before a good representation of raceways are listed on SCI. I don't know why this is exactly but I have my theories which would probably seem too negative if I shared them here. My friends who aren't into slot racing (pretty much everyone I know, male and female) tend to characterize the hobby as, "a bunch of overweight, socially challenged men huddling together in a basement on a Saturday night." I'm not sure what that says about me! Sometimes I get the feeling that, really, we're not a terribly social bunch, maybe? Or too competitive for our own good? I'm in California's 'Portrait of Dorian Grey' City, Sacramento, and don't have a problem opening up my home and track to fellow racers (the track is not in the basement, though, so there goes that part of the observation). It's only a 4x6 'lonesome George' single laner, but has timing and a honkin' adjustable power supply, is wired like the professional tracks, and—if you'll permit a moment of immodesty—has a good rhythm, I think, and is challenging without being overwhelming. The spiral has a consistent bank to it and it's faster than you might think it would be, it's my favorite part especially going uphill, balancing the car with the throttle and gathering momentum towards the short straight. It doesn't have guardrails, is the thing. I rarely fly cars off it anymore, but that would be a possibility. It's like a a 1:1 public road in the mountains, take it to the limit at your own risk. If you're game, PM me. And, yes, I'll likely be here on a Saturday night. Boopie: I worked around the paddle thingie, just routed two slots side by side for travel in either direction. Cars don't seem to notice the other slot. Next time I'd cut the slots closer together in certain places, so they share the inside conductor which is the same polarity on both sides. Last edited by Pinto_Girl; 11-13-2009, 11:51 AM. Illinois Track section is up. Fill away Mick, and thank you for helping. I am hoping more Stores, Clubs and Private Tracks will step up soon. 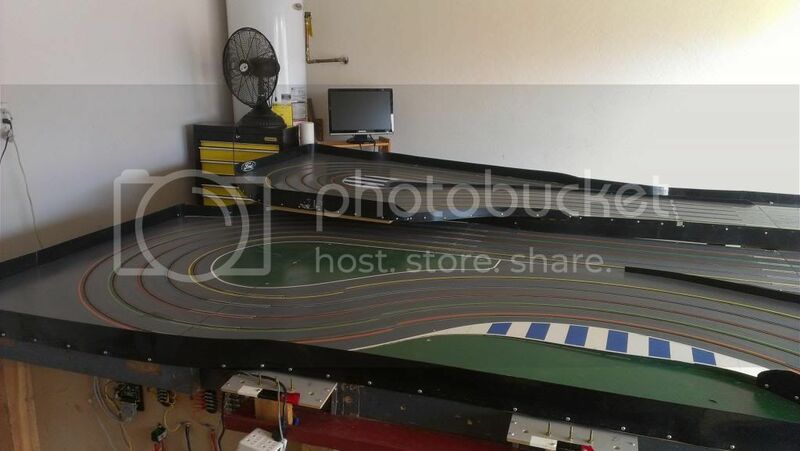 It's been ages since I've posted in a slot car forum! Since moving to NC I have only found one other person with an interest in 1/32 scale. Is there a way we can search the members roster by location to see if there are any others nearby? I am aware of a few 1/24 commercial tracks in other parts of the state, but nothing else. 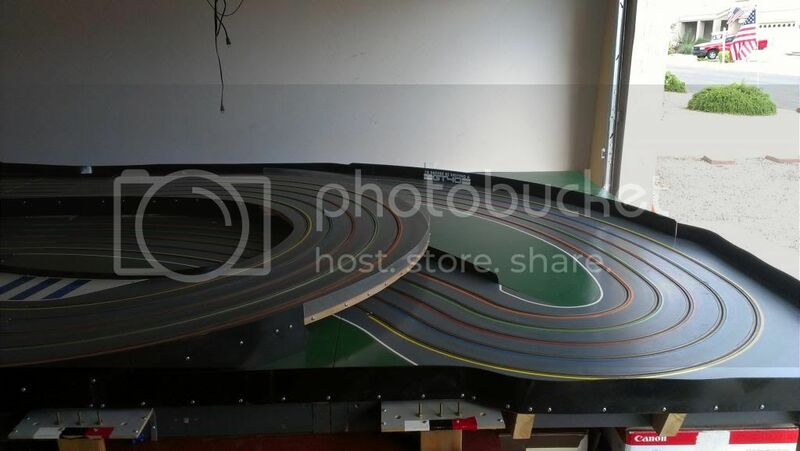 I am intrigued by the Ninco Pro 4 lane track due for release in the near future, as I could set that up on our screened deck and try and start up clubbing again. But if it is just me myself and I, we'll be sticking with my vintage Strombecker track with its limitations whenever I wish to set it up. UPDATE: I have found a group of people running SCX Digital every now and then in the area! Greatly looking forward to racing again. Last edited by David England; 11-26-2009, 09:05 AM. Reason: updating information. When they Race. Saturdays - Doors open at 12pm. Race starts at 3pm til ?? ?